The world of mobility is undergoing a fundamental change. New standards and statutory regulations require solutions for optimizing consumption and noise reduction. Since 30 years we offer hybrid solutions to solve this issue, which set new standards for both efficiency optimization and driving dynamics. We use all available space in a highly efficient manner. Our system-competence allows us to merge components in such a way that optimal synergies arise. Hybrid drives offer many opportunities for thermal interaction. Efficiency maximization is achieved, for example, when we use the heat of the engine to heat the gearbox. Furthermore, combined water or oil households are a way to minimize interfaces. Not only does the thermal system offer symbiotic effects, but a combined lubrication increases the lifecycle and minimizes losses. At the same time, eliminating error sources by reducing interfaces, which reduces costs and saves space. The world of hybrid drive offers new possibilities and functions for mobility products. 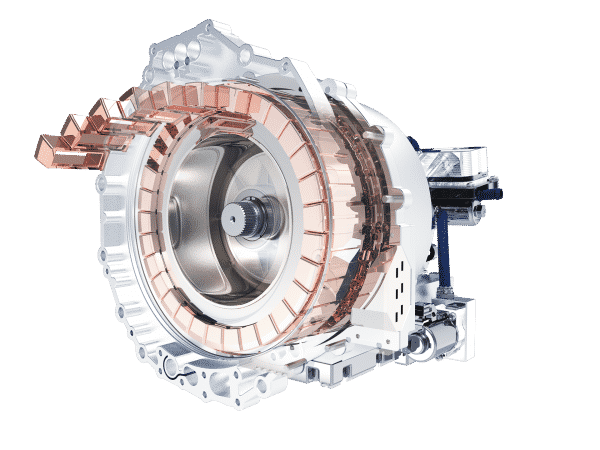 Based on decades of experience, we offer individualized projects and solutions for hybrid powertrains to realize any application. Depending on the application, the position of the electrical support in the drive-system is decisive. Depending on the requirements, we integrate the electrical-machine at the correct location. We practice a holistic Noise-Vibration-Harshness assessment and implement appropriate countermeasures. We achieve these effective NVH-Solutions, through our system-competence. We look at the NVH events in the entire powertrain, allowing the gained insights to flow directly into the system design.